The magician shows the audience a small transparent Plexiglas tube and proceeds to push, one at a time three silks of different colors inside it. 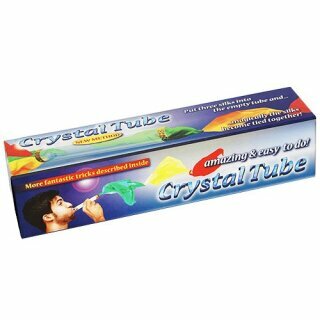 He then makes a magical gesture over the tube, brings one end of the tube to his mouth and blows into it. Incredibly the three silks fly out of the other side magically tied together. New method, completely different from the usual one? and even simpler. The tube is cm 13,8 (5,43?) long and has a diameter of cm 2,3 (0,9?). The silks measure cm 15x15 (6?x6?). 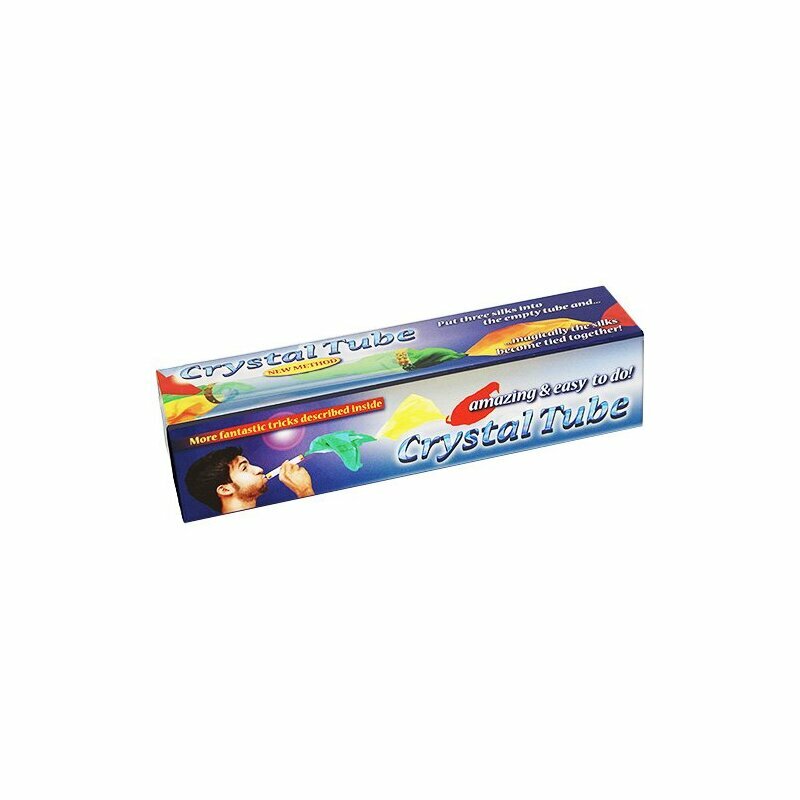 In the instructions, together with the routine described, there are other two alternative routines that are possible with this new ?Crystal Tube - Mini"!